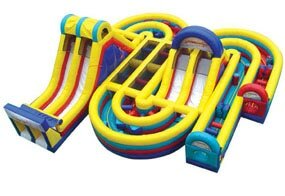 These inflatable courses will give you some awesome amusement as they run, climb and dance their way through obstacles. Your lovely monsters will love this obstacle course. Designed for the dual challenged kids, 2 lanes make a fantastic way to take the challenge up a notch. Look at our package deals to get more for less! It's awesome and able to get into spaces that other ourses are just too big for. You'll love the way this function has multiple little challenges in it. 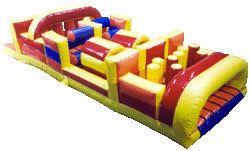 Seven obstacles inflatable has large floor space and many things for kids to do. 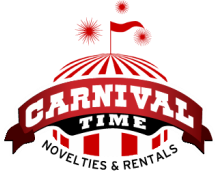 Which in turn keeps kids enjoying your event. Parents rejoice because kids are kept in a loop for easy entrance and exit. The new Adrenaline Rush Extreme II is a winding 1,800 square foot dual lane maze of adrenaline-inducing activities! 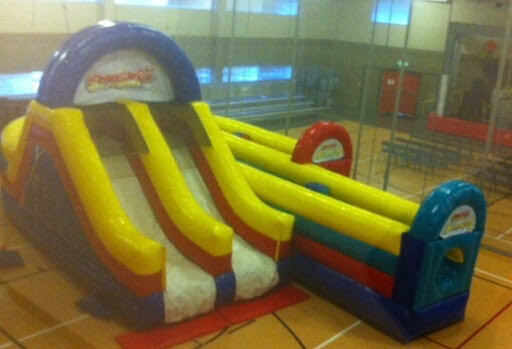 This inflatable obstacle course offers a dual lane climb and slide, a curved lane dual obstacle track and a double lane slide/obstacle track combo. After crawling through the pipe entrance of the Adrenaline Extreme, the kids are immediately challenged with pop outs and squeeze walls obstacles. Halfway through the course is a rock climb and slide. The final leg takes players mammoth rock climb and speeding slide to the finish.